Two new studies show that office workers are more productive when temperature and posture are comfortable. Research and practice also indicates that both factors can affect worker productivity. Two new studies by Alan Hedge, Ph.D., CPE and Cornell University found that a comfortable working environment can do more than make workers happy: it can improve productivity as well. The first new study looked at how office temperature can affect worker performance. Computer workers were placed in an environment where the workplace temperature could be taken every 15 minutes. After one month, Hedge found that when office temperatures went from a comfortable 77 degrees to a chilly 68, typing mistakes increased by 74 percent while typing output dropped by 46 percent at the colder temperature. In a different study also focusing on the impact of employee comfort, Hedge found that 80 percent of workers prefered working at adjustable workstations that allowed them to alternate between sitting and standing during the workday. “We found that the computer workers who had access to the adjustable work surfaces also reported significantly less musculoskeletal upper-body discomfort, lower afternoon discomfort scores and significantly more productivity,” Hedge, director of Cornell’s Human Factors and Ergonomics Laboratory, said in a press statement. The adjustable workstation study, presented at the Human Factors and Ergonomics Society last month in New Orleans, focused on 33 intensive computer users at two companies: a high-tech facility and an insurance company. All participants were questioned about their work style and musculoskeletal discomfort at the start of the study, after which time approximately half of the participants received an electric height-adjustable work surface to use for a month. According to Hedge, over 80 percent of the participants who received a height-adjustable workstation preferred it over a traditional workstation. A survey of the participants also found that the average musculoskeletal discomfort index score for users of the height-adjustable workstations was 20 percent lower than for the users of the fixed-height workstations. Other studies have also indicated that work posture can affect worker productivity. 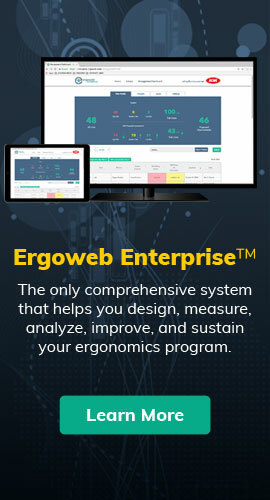 For computer users, who Hedge indicated in an interview with The Ergonomics Report™, are often locked into a position because of the immobile nature of the machines themselves, improving posture, whether through a more ergonomic workstation, a chair or merely getting up and moving around, can make a big impact on their productivity. But there’s more to improving worker posture than just supplying the worker with increased mobility or a better workstation, say both Hedge and newly-elected president of the Human Factors and Ergonomics Society, Marvin Dainoff, Ph.D., CPE. To learn more about how Hedge and Dainoff believe working posture can affect productivity and how workplaces can benefit from ergonomics efforts that address posture, read “Posture and Its Effect On Productivity” in The Ergonomics Report, available to subscribers on-line at The Ergonomics Report.